I was lemming for the 'New Girl' Glasses when I realized that I got power for my eyes. 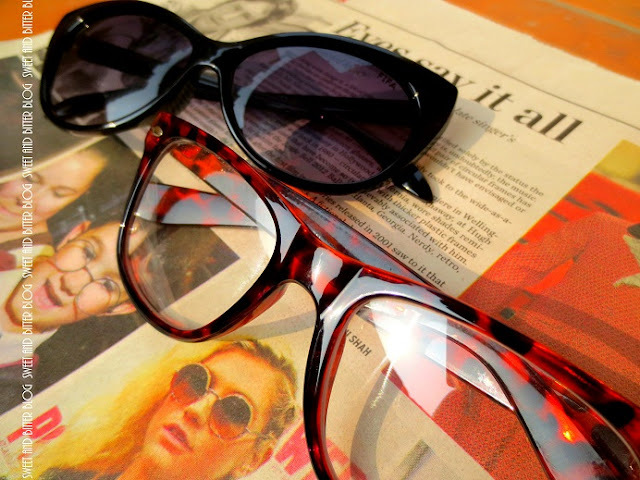 Luckily I got the some thing like the wack ones of Jess - the animal print geek glasses that I had already shown you here. While these are not easily available here locally, I found this time during my visit to Sarojini Nagar Market that the most people selling glasses had wacky designs with them. There were several tempting designs variation of the one I have but someone it made no real sense to get something similar. So, I picked up another wacky design that I always wished to have but was never courageous enough to try - Cat Eye Nerd Glasses. I thought of getting more but I was shopping alone and buying glasses require some help to be precise. I still don't have enough guts to wear it but I am gonna change the tinted glasses to either clear glasses or clear power glasses. 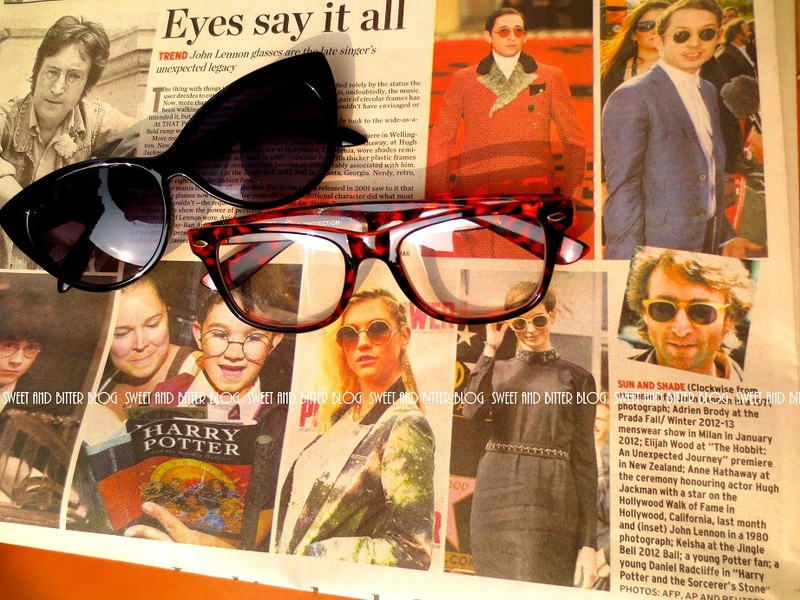 I clicked these pics just before leaving from Delhi when I saw this special article on attention pulling glasses. I actually didn't read it because I was running out of time by stuffing all my things into my suitcase! Do you liked nerd glasses? Own any? 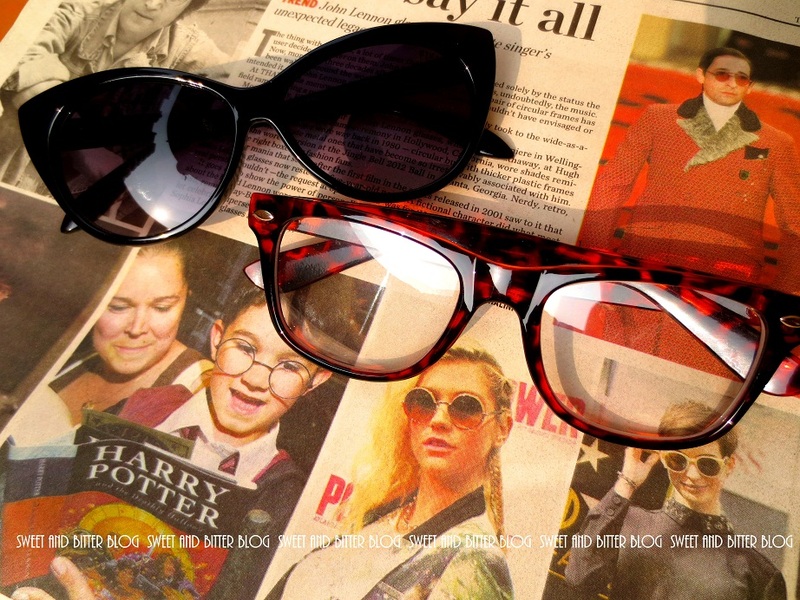 Which one did you liked - Cat Eye Nerd or Animal Geek?